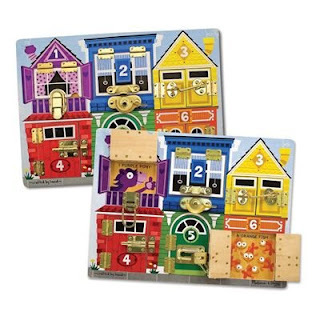 I have always loved the Melissa & Doug Latch Board Puzzle. Forget the kids enjoying it, I could latch and unlatch the pieces all day long. Well being the handy people that they are, the couple behind Young House Love made their own latch board for their daughter. 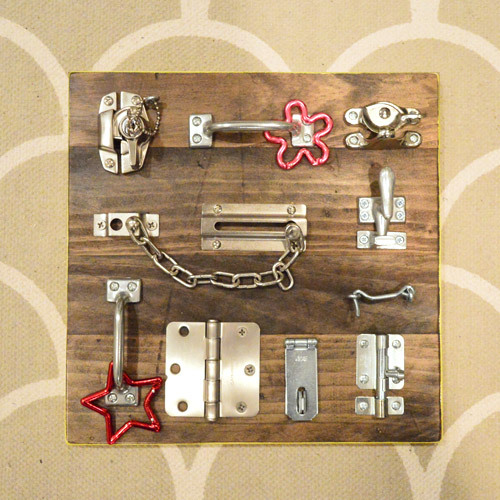 And you can check out how they made their version of the latch board HERE. will def stash this away for future!